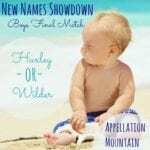 Ready for summer fun, baby names style? 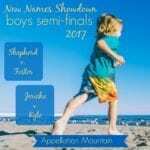 Welcome to the New Names Showdown 2017 boys opening round! 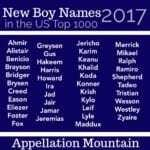 Our goal: to choose the name most likely to climb dramatically when the new numbers come out in May 2018. This is the boys’ contest; the girls’ opening round posted yesterday. Where did the names come from, you ask? I went through the list of all the names new to the US Top 1000 this year, and picked eight. Eight names that weren’t clearly spelling variations of existing names. (Sorry, Kye and Mikael!) Dropping some names felt painful, as if I was omitting a future Top 100 name. And yet, I couldn’t think of any practical way to put all forty-two names in the mix! So here are eight names that debuted in – or returned to – the US Top 1000, based on the May 2017 data. Over the next few weeks, we’ll narrow down our favorites, until we have the Appellation Mountain community’s top pick. And then, next May 2018, we’ll see how well our favorite name fares in the names data. 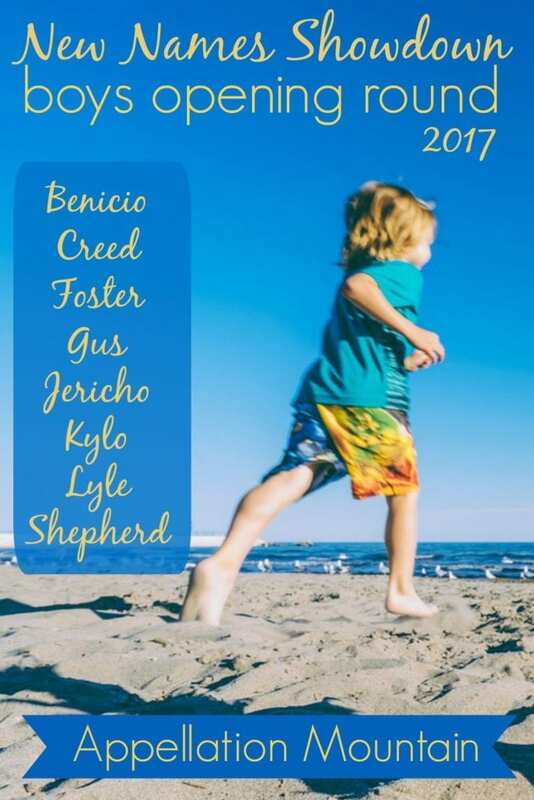 Gentle Shepherd and vintage Gus might belong on the same shortlist, but for this contest, you have to pick just one! Two pop culture sensations face off: Star Wars baddie Kylo takes on Rocky heir Creed. 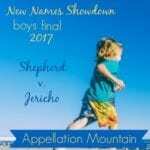 Biblical place name Jericho versus vintage comeback kid Lyle – which do you prefer? Preppy, polished Foster takes on romantic, elaborate Benicio. Thanks for voting! 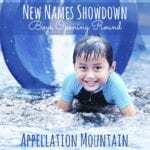 Check back next Friday to see which of your favorite names won the New Names Showdown 2017 Opening Round – and advance to the semi-finals! I really like Jericho too. Although with it being a city that was destroyed by God’s chosen people, that could be awkward? It occurred to me that Creed (like Shepherd interestingly enough) could be used for its religious connotations. It reminds me of girl names like Heaven and Eden.